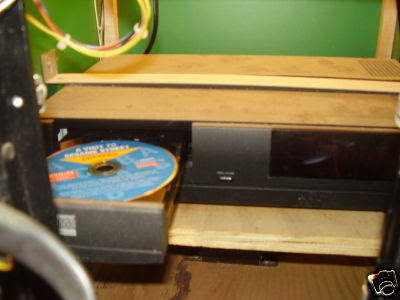 CD-i was used in some arcade machines which have been used for example in Disneyworld. 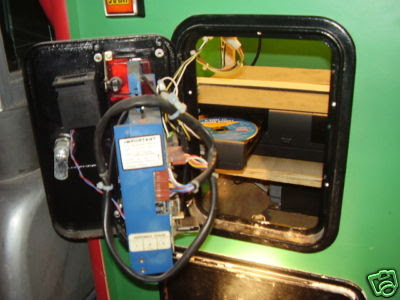 Devin showed a few pictures of a 'Quizard' Arcade machine based on a CD-i player; pictures can still be found here. Recently another Arcade machine popped up, going strong by the name 'Lil Champ'. Again, it is based on a CD-i player! 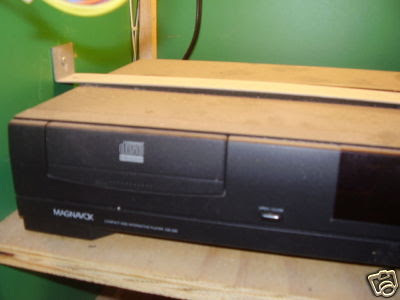 As you see below there is a Magnavox CD-i 210 player inside. It is a coin operated Arcade Game Machine. On screen you see that currently there is a Sesame Street CD-i game in it. I'd like to know some more details, apparently it will work for a specific time otherwise it requires more money, will it reset the player after time runs out? It's nice CD-i fits the purpose of these arcade machines, who knows how many of these actually exist without you knowing it. This unit is 1270cm high, 530cm width and 600cm depth.